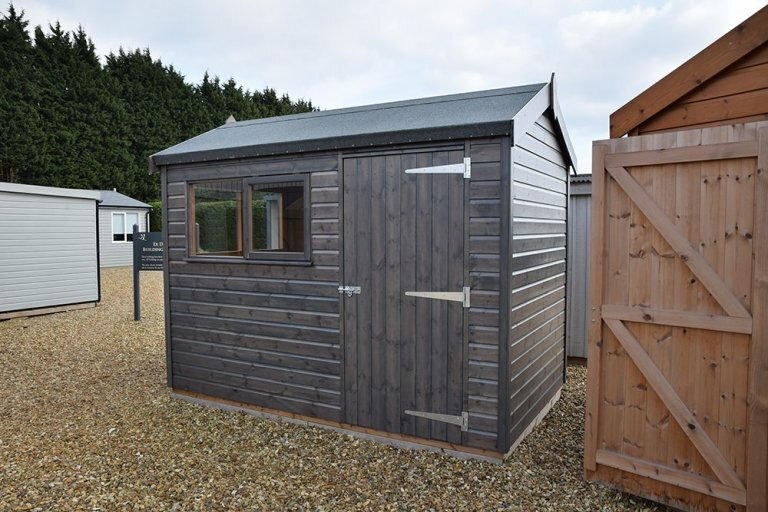 This charming FSC® certified timber Garden Shed makes the ideal compact, convenient and attractive storage solution for those seeking a high-quality addition to their garden. 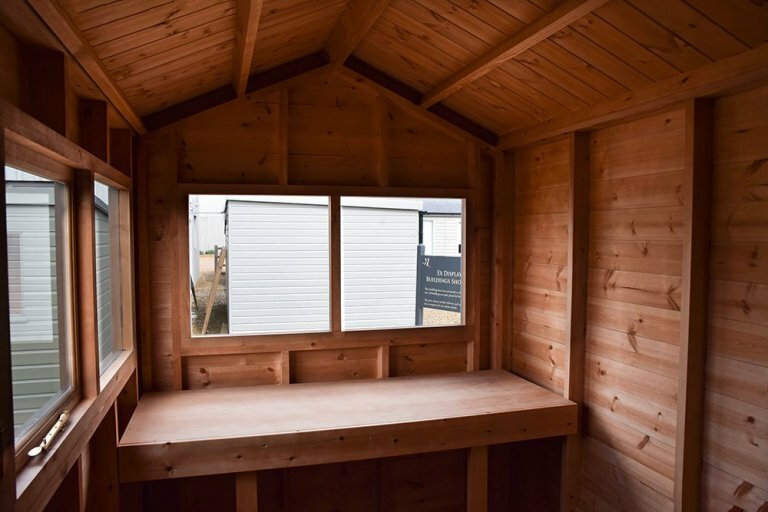 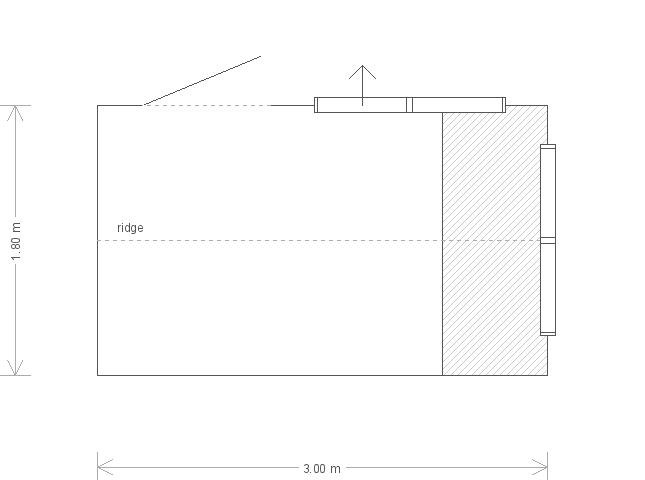 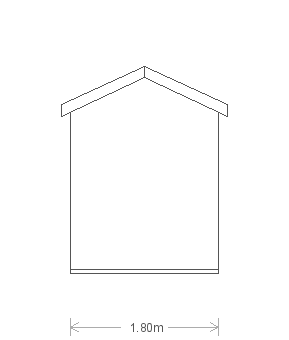 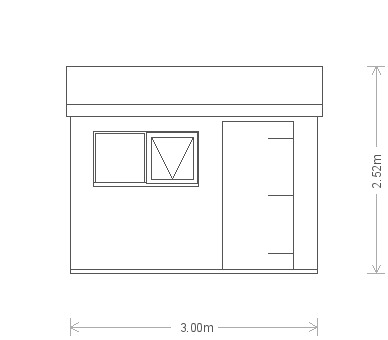 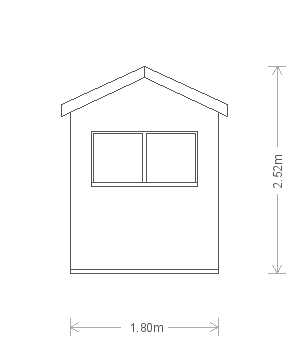 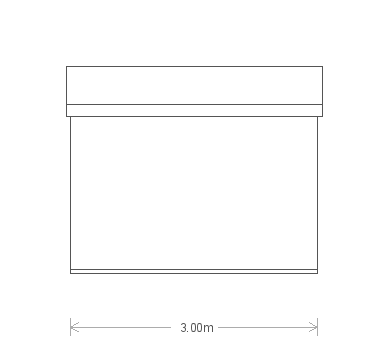 Measuring 1.8 x 3.0m, the building has an apex roof covered with our heavy-duty, heat-bonded felt and an interior workbench for guaranteed sturdiness and a place to pursue projects. 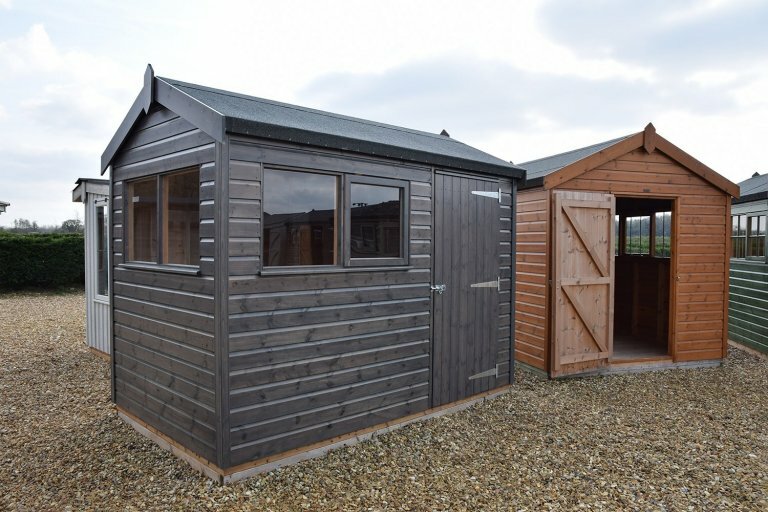 The exterior is clad with smooth shiplap and painted in the attractive Sikkens preservative stain of Grey, which allows the natural beauty of the wood to show through.